Description: A couple enjoys the Mariachi musicians at La Posada Bar, on the shore of Lake Chapala, Ajijic, Jalisco, Mexico. She was singing to him. 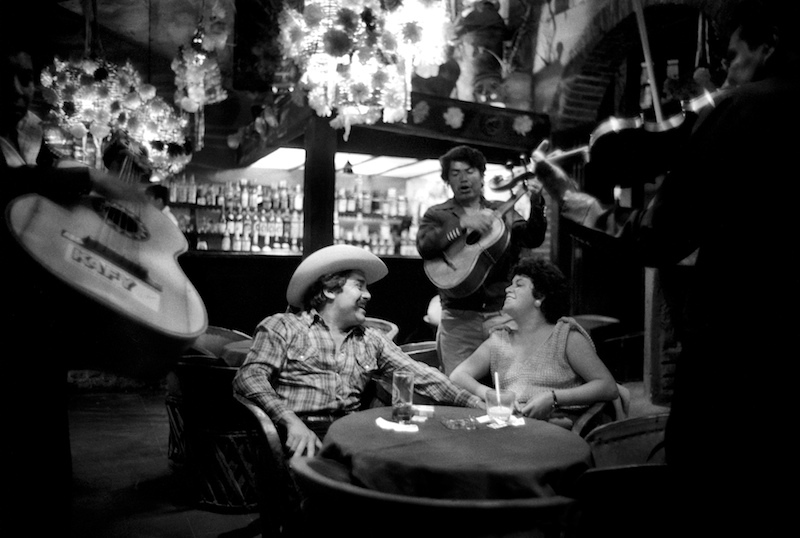 Caption: A couple enjoys the Mariachi musicians at La Posada Bar, on the shore of Lake Chapala, Ajijic, Jalisco, Mexico. She was singing to him. Special instructions: Do Not Crop!